The moon turns a deep burgundy when it is near an eclipse, and is truly a sight to behold. This time is unrivaled for opening oneself to the flow of all energy, and scrying for life path decisions. The wine pours from its holder, shining in the air for a moment like a jewel and beautiful in its glorious impermanence. It is the color of red earth and drying blood, that I write of, hardening in the elements but no less true to life. On the Rainbow Path I have walked, and learned the colors and their meanings in turn. Burgundy is the color of impeccability on this path, and I will try to impart to you some of what I have been shown. Impeccability is the absence of original sin, often confused with infallibility and innocence. Infallibility would mean that one is without error (who?) and innocence implies that one eventually is sullied by mere exposure to the world. Impeccability falls somewhere in between. I like to say I’m im-peck-able, so peck off, all those who would peck me! impeccability means that one is without sin. Sin is not a concept embraced by most Pagans, as most of us believe that while we may error and do things against our natures (which are, in their purest form, inherently “right”), there is no such thing as “original sin”. This of course does not mean we have no concept of right and wrong. When we are born, we are naked and beautiful, and closest to the forces we call the God and Goddess (as anyone who has looked in the eyes of a newborn can attest). We are naturally pure, and only through learned behaviour do we act in ways that do not reflect this closeness to the natural way of things. In Christianity, one must be reborn and “washed in the blood” to be pure again. In most Pagan traditions, we have not to be washed in any blood but that of our Mother at birth. Sacred we are born, and may remain. Rather than original sin, we can see original purity, and not just that of the newborn babe- it is a choice, an inner state that we can cultivate and carry with us throughout our lives. A burgundy rose means a beauty that is uncontrived, unadorned, and unconscious. This natural beauty seems more to be described by what it is not there than what is. In Tibetan Buddhism, the zhen (everyday robe) is burgundy or maroon– a sign of holiness in the mundane world. 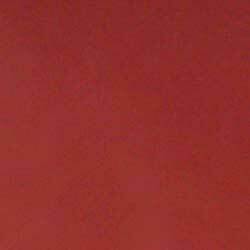 In modern times this color is seen as a sign of wealth, success, and vigor. It has commonly been a color preferred by royalty. The sacred pomegranate, associated with those Earth Goddesses of unaffected beauty for thousands of years, bears this color inside and without its womb. Persephone, the impeccable daughter of Demeter and embodiment of fertility, ate the pomegranate seeds that sealed her fate, causing her to live below the ground for half of the year and the other half above, creating what is summer and winter for us mortals. The similarities between this story and the Christian’s Garden of Eden do not go unnoticed. Yet there is one very important difference- it is what defines us as Pagans. While Eve ate the apple of knowledge and was tainted, Persephone ate the seeds and was changed– not necessarily for the worst. She saw the darkness for what it was, and found herself seemingly trapped below the earth. Upon her emergence in the spring, however, the denizens of the greening earth found that their Fertility Goddess was also Queen of the Underworld, the sides in perfect harmony and unison with each other. It is possible that we can be both in the world and in our sacred places at the same time. These worlds do not clash, and the sacred is not separate from the everyday. We can be Divine and mundane at once, by bringing this concept of impeccability with us and acting in accordance with our true natures, the Way of the Earth, all day in everything we do. It is true that daily life can feel difficult on the best of days. It can be hard to feel like a Goddess with two screaming kids in the backseat of a car during rush hour! (I’ve never understood why they call it rush hour when cars are obviously doing the opposite). Your higher thoughts perhaps might give you peaceful mantras that may either help or annoy, your instinctive side wants to get out of the car and get primal, and somewhere in the middle the “normal” side of you is twisting around under all this stress and just wants to get home. It is this middle place that is our everyday mode of being, influenced by our higher and lower selves to varying degrees throughout our lives. It is our clay that we may shape however we choose. Neither higher nor lower self is “wrong”, as they are both necessary to our existence, but allowing ourselves to be controlled by either for too long is like riding a train in the dark. Your whole life just passes you right by while you’re staring out the window. Burgundy is a representative of this middle state made aware, our higher selves brought down to earth and mingling with our instincts to produce a sort of everyday spirituality, one that is conscious of itself but not self-conscious. By continuously being mindful of our instincts, thoughts, and emotions, we begin to understand from where they all arise. We find our purest instincts rising up from the earth, and our higher thoughts coming from above like rain. Where these come together we have the ruddy clay of our waking world, for us to mold and shape into whatever we wish it to be. We remember, now, with our bellies and wombs, listening to hearts pumping blood and feet treading roads, the simple sound of voices carrying, unadorned with meaning: drums all, beating out the rhythm of our sacred Life. We remember the color of the womb, the pure light filtered through all the wonder of our Creatrix. We need not look further than our own lives to rediscover the wonder and spirituality that is our existence on this earth. Transcendence is for the dead– Life is for the living! It is still known in some circles that the Faeries do not lament the obstacles in their way– they sing to them a song of appreciation, and dance with them until their obstacles dance back, sing to them until they awaken and harmonize. To know is not to hope, or to believe, but to carry with you the spirit of resolve and acceptance, mingled together like clay and water. If you are rained on, soak it up and revel in the wetness. When thrown in a hot spot, harden and shine. If you are stepped on, become the grape and make sweet wine of yourself. Just don’t sit on the shelf too long, or you’ll turn to vinegar. Drink deep, for the well of life is sweet, and give thanks to the pressers of grapes.